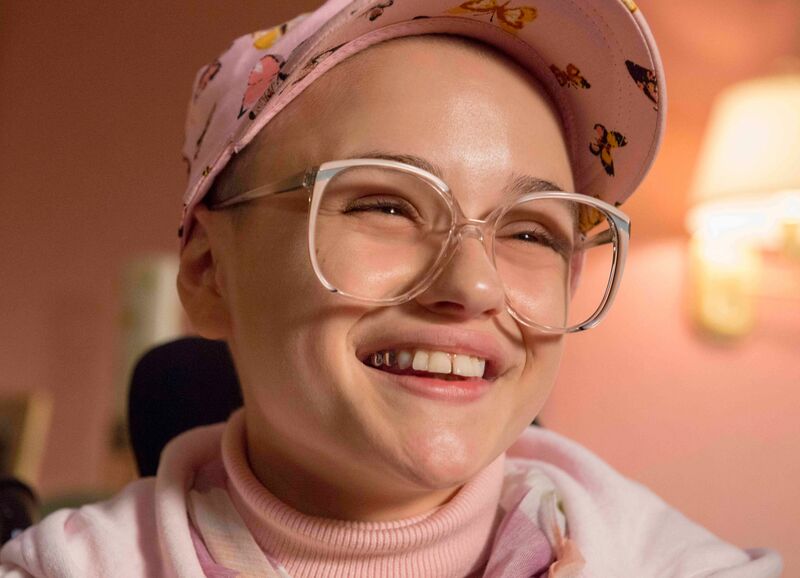 From co-creators Michelle Dean and Nick Antosca (Channel Zero), the first season of the true-crime anthology series The Act (available to stream on Hulu) tells the shocking story of Gypsy Blanchard (Joey King), a girl who’s desperate to escape the toxic relationship she has with her overprotective and overbearing mother, Dee Dee (Patricia Arquette). As the sweet, naive and lonely Gypsy becomes more and more aware of the outside world, her quest for independence turns dangerous, threatening to reveal a never-ending list of secrets that ultimately lead to the drastic act of murder. 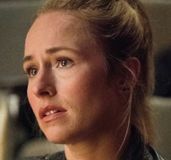 During this 1-on-1 interview with Collider, writer/executive producer Michelle Dean talked about telling a story of truth that is way stranger than fiction could ever be, how she was first made aware of Gypsy and Dee Dee Blanchard, her journey from Buzzfeed article to TV series, her experience partnering with Nick Antosca on the project, the sad tragedy of this story, using the series to explore different kinds of emotional logic, and the desire to explore a crime with strong elements of performance or deception and a strong relationship at the core, in a possible second season. Collider: This is one of those stories where, the truth really is way stranger than fiction. What was the original interest in this story, for you? MICHELLE DEAN: I saw a wire report that an editor sent to me, that had Gypsy and Nick’s mugshots, and they looked so terrified. I’d done enough reporting, by that point, to know that if you’re grinning in your mugshot, you’re a psychopath. There’s no story there. The story is that you’re a psychopath. But when people are afraid like that and they know they’re in trouble, there’s always something that got them to that place. So, those mugshots were the original hook. At the time, the Munchausen stuff was starting to come out, but it wasn’t really clear, and there was a presumption that perhaps the three of them had been in it together, and two of them had killed the other one to get out. That was not, at all, what ended up being revealed. So, that was how I originally got started. The Tuesday or Wednesday after Dee Dee’s body was discovered, I started reporting the story. What did you think of Gypsy, when you first found out about this story, and what do you think about her now? 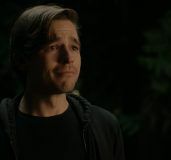 DEAN: It’s really hard to sum up what I think about her because the subject of Gypsy, for me, at this point, is a bit of a notion of interactions. One of the interesting things, and the thing that people can’t get over about the story, is the way that the victim and the perpetrator are entwined. You can’t extricate one from the other. There’s a debate sometimes about whether murderers should be allowed to blame their childhood, or whatever, but this so collapsed in on itself, with this situation, that there’s no debate here. Yes, the childhood led to what happened. There’s no question about it. That closed loop shaped who she was, and who she is. I don’t think that my opinion of her changed so much, in the understanding that there were always going to be things I was never going to know. At the beginning, I was maybe a little bit more naive, as a reporter, and I was like, “Well, eventually, I’ll get to the truth of this story.” Now, three years in, after all of this, I still have questions. When you started on this story, could you ever have imagined that you’d be here with it, and that this would be the journey it would take? DEAN: No, I had no idea. I’m a literary journalist. I don’t really do big viral stories. It’s the only thing I ever really wrote for Buzzfeed. At the time, they had all of this money and they were really into doing lots of reporting. They could afford to send me there, more than once, which is the holy grail in reporting now. And it was read by five million people. I probably will never write anything that popular again. It definitely exploded beyond what I thought it would. The story touches people, and I couldn’t forget it. How did the TV show come about? Did somebody come to you about doing it? DEAN: Yes. After the article ran, I began to get inquiries from producers about the rights. I met producers, who happened to be (co-creator) Nick [Antosca’s] managers, and I went with them. At that point, I was feeling that it was more of a TV show because of the intricacies of the story. I worried that, in two hours, you’d get to the murder and not much else. To me, the murder was never the most interesting or intriguing part of the story. So, they introduced me to Nick, and off we went. Did you know, from the beginning, that the two of you would be working on this together? DEAN: No. When I sold it, I sold it to his managers. I was not familiar with his work. They just introduced us, thinking we would get along because he had been a part of the New York literary world, which I was a part of. It felt like we spoke the same language and both wanted to show the emotional logic. Basically, what we were trying to do is show what leads to these extreme crazy acts. What was it like to have Nick Antosca, as a partner? DEAN: I won’t lie, it was really strange. It was a positive, but strange experience. I stayed with it because it seemed important that somebody have a take on the case who was close to it. We worked with the writers’ room, which was made up of a bunch of really great writers, who had worked on Mad Men, Better Call Saul, and all of these things that I had admired, as a critic, for doing what I wanted to do with Gypsy’s story, which was teasing out the emotional logic of how people get themselves into something like this. There’s such a different process, between being a journalist and being a screenwriter. DEAN: It was abrupt. On the one had, I was very glad to get out of a room by myself, thinking about things, which is the crazy-making thing about being a journalist and a writer. You’re just on your own, and you don’t really have that much contact with other people. With this, there were all of these people, running at my face. It was great, in a way. I really loved our writers, I loved our cast, and I loved our directors. We just had a really lovely and cooperative environment. But, it was definitely an adjustment to have so many people around. What’s it like to then hand over the story to the actors and watch what they do with all of it? DEAN: I have a good cast, and I had the opportunity to talk to all of them. I found that it’s easy to have confidence in a cast like that. Even if they weren’t doing something that you would have chosen to do – and I can’t really think of any specific examples of that – I knew that they would take it in an interesting and humanized direction, and that’s all that I really wanted. I just didn’t want the heightened circus version of this. I wanted the version that really just went for how sad this was, and how tricky it was to see outside of it, if you were in it. It really is such a tragic relationship to watch. DEAN: Yeah, it’s just very sad and very tragic. I think if you had met them in 2008, when our show starts, neither of them saw this coming. That’s the way life is. They didn’t see it coming, in their own relationship. When I was interviewing Gypsy for the article, she would say, over and over again, “My mom is my best friend.” She really wanted me to know that. This was after the murder, but, for her, she could reconcile those sentiments somehow. Is she someone who has a sense of what she actually really did? I think every teenager probably says that to their parents, or at least thinks about it, at some point. DEAN: Exactly! And sometimes they even mean it. One of the great things about the story is how much of it really correlates to the way that normal people relate to their mothers. This was an extreme version, but that’s what makes it so interesting. You can boil it down and see the regular dynamics of thinking your mother wants to control you and wanting your mother to stop looking over your shoulder, all the time. This shows the way that care can morph into something really awful and twisted. They did seem like mother and daughter. They really bonded, pretty early on. I also didn’t meet Dee Dee. I know what Gypsy is like, although she’s a lot of different people, as we all are. One of the things that most intrigues me about the story is the notion embedded in it, that you can’t just tell a girl to ignore her sexuality because it’ll come out. It’s a stupid horror movie trope, but it really is true, and it’s something that doesn’t get said a lot about girls. 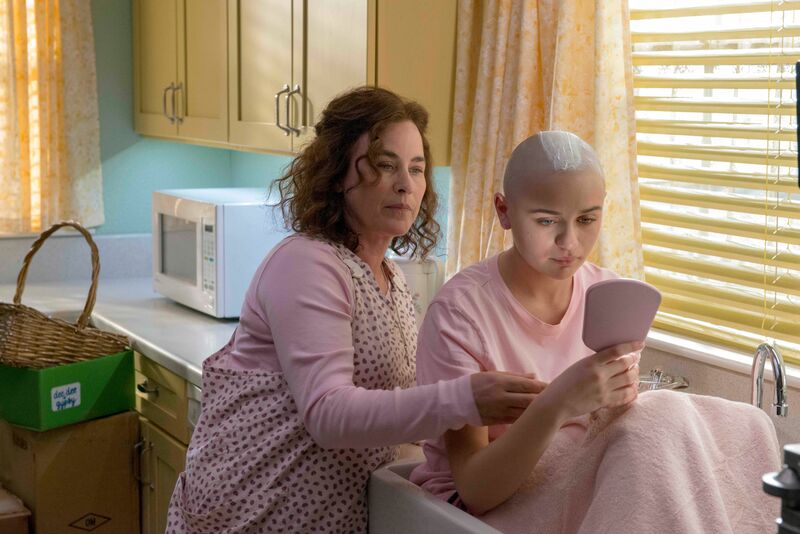 Was it important to you to show a more normal mother-daughter relationship, between the characters that AnnaSophia Robb and Chloe Sevigny play, to balance what was going on between Joey King and Patricia Arquette’s characters? DEAN: Yes. What I thought about a lot is different kinds of mothers, what a good mother is, the ways in which Dee Dee tried to enact that stereotype, and how much it flattened her relationship with her daughter because she was forcing something. 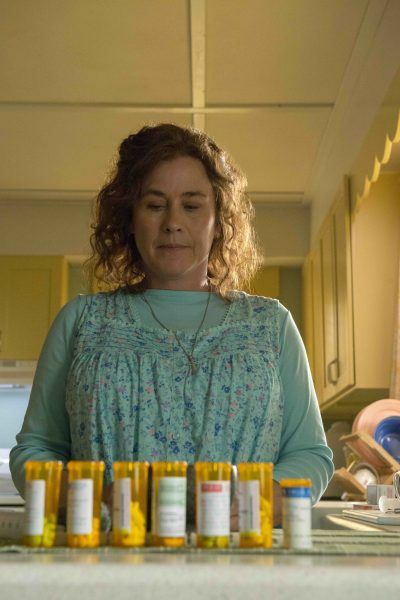 We really did wanna have somebody else who was a different kind of mom, who was a good mother, in the sense that she raised a daughter who didn’t have all of these problems. I’m not a mother, but my friends are. I certainly have seen a lot of different kinds of bad mothering and good mothering, sometimes both together in the same package. It was really important to depict that. I had the writers’ room read Rachel Cusk’s A Life’s Work: On Becoming a Mother, and Adrienne Rich’s Of Woman Born: Motherhood as Experience and Institution, just because I wanted them to be familiar with the push-pull. Also, I’ve wondered if some of Dee Dee’s pathology came from an ambivalence about having a kid. Even though she didn’t express it that way, I’ve wondered if, internally, she was tired of having Gypsy, and this was a really destructive and horrible way to deal with that. Now that you’ve had the experience of doing one season, are you staying with the show? Are you already thinking about what the next crime is that you’d like to explore? DEAN: That’s the plan, yeah. And we’ve talked about a few different [crimes]. We’ve just been so focused on getting this season out there that we haven’t really drilled down on what the plan would be. 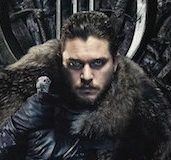 We haven’t been renewed, so it would be entirely premature. I think it would need to be a crime with the strong elements of performance or deception, which usually entails a strong relationship at the core. We want to explore different kinds of emotional logic. We don’t want to explore the logic of what leads you to kill your mother, over again. 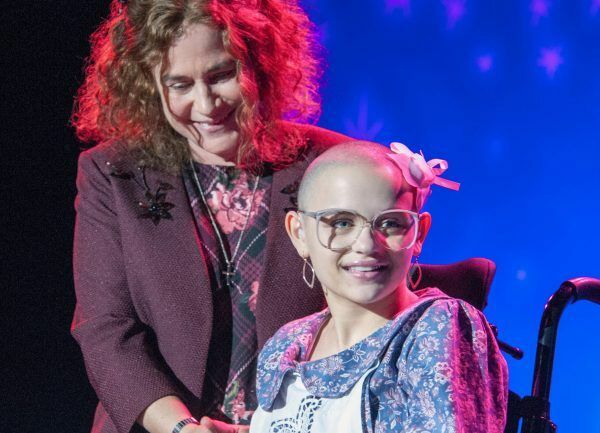 The Act is available to stream at Hulu on March 20th.